Samsung takes on Indian smartphone market seriously and that’s why it launches its high end smartphones in India together with developed nations. 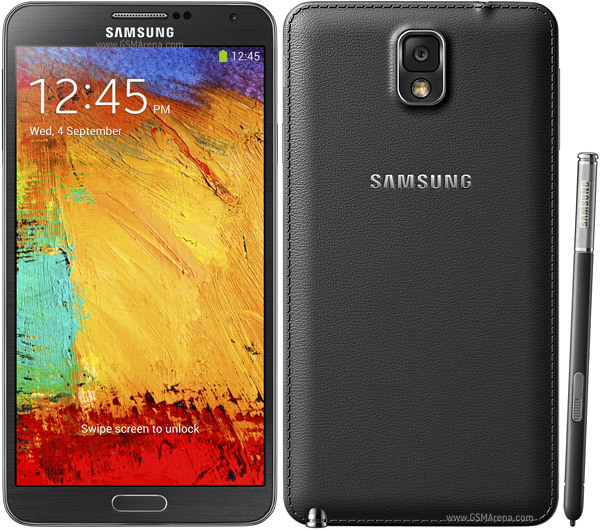 Recently announced Galaxy Note 3 is now will be available in India from next week. If you’re waiting to buy this new phablet experience from Samsung then your wait will over within 2-3 days, hopefully from September 17, 2013. But the first question comes in mind is what will be the price of Note 3 in India? Note 3 price in India leaked! Officially Samsung has not changed the status of the device and it’s still tagged as ‘coming soon’ but an online shopping portal (Saholic) just put on the price of Note 3. The Note 3 is going to be available at a price of Rs 47,990. 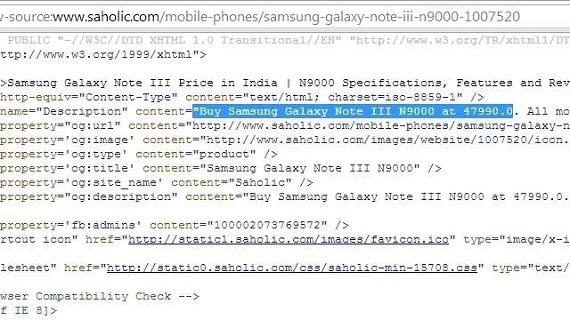 This price tag was confirmed by the HTMP source code of Saholic website but still we need to wait for the official announcements regarding the cost of Note 3 in India. As per features and overall specifications of the device are concerned, this price tag fits in perfectly well. Once it gets available in the market then it will become the crown smartphone for Samsung and that’s why it deserves this huge price tag. The official Galaxy Note 3 N9000 model will be coming to India and it will feature 5.7inch Super AMOLED display, quad core 2.3GHz processor, 3GB RAM, 32/64GB of internal storage, 13MP rear shooter, NFC and all unique and impressive features of Galaxy S4. The device is running Android 4.3 Jelly Bean which is the latest version of Android available right now. As far as design of the device is concerned, Note 3 is the best looking smartphone manufactured till now under Note series by Samsung. So guys, are you going for the Note 3 or still happy with your compact (in comparison to Note 3) smartphone? What you think whether Note 3 is worth this price tag?